Desi Smith Staff photo/Gloucester Daily Times. 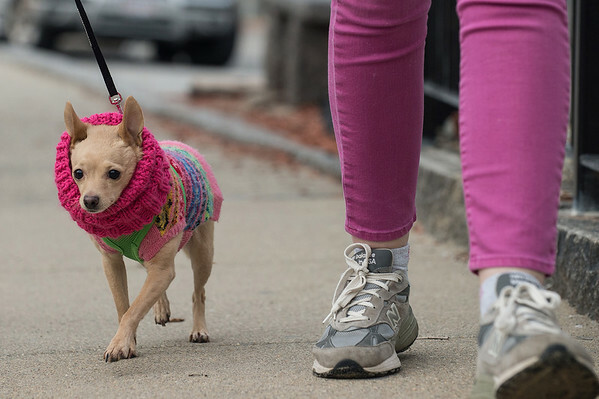 Penelope a Chihuahua is dressed for the weather while walking along Beach Street in Rockport with her owners Rich and Amy Riggs Saturday afternoon. February 1,2013.